We have over 15 years of experience with lighting and DMX control - from casinos to fashion shows, theater productions to concerts, retail to residential, we have it covered. We have extensive experience in LED, special effect, and laser lighting and are bringing that experience to the Laser Tag industry. 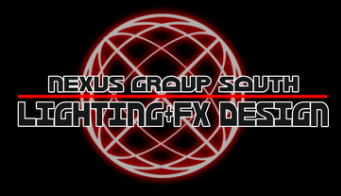 Nexus Group South, LLC is located in Metairie, LA. We generally service southeast Louisiana including: Metairie, Kenner, New Orleans, Harahan, River Ridge, Mandeville, Covington, Baton Rouge, and many more cities.